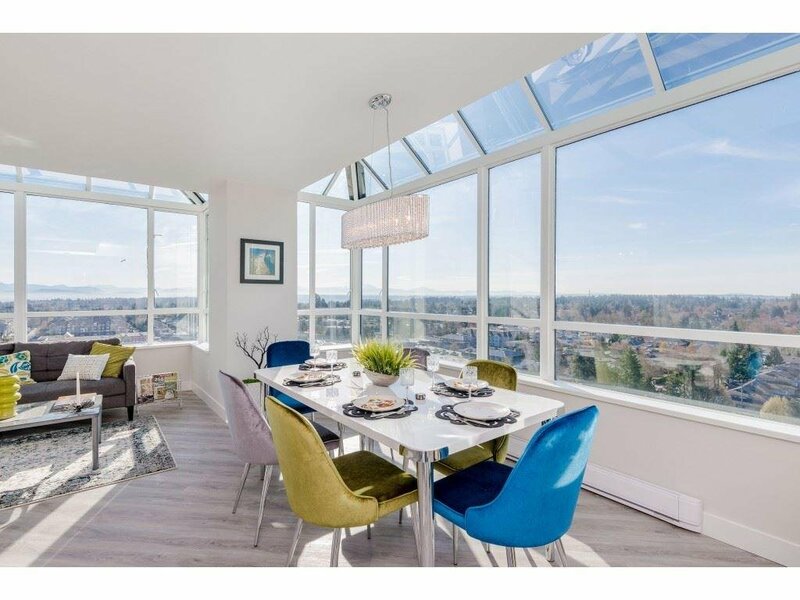 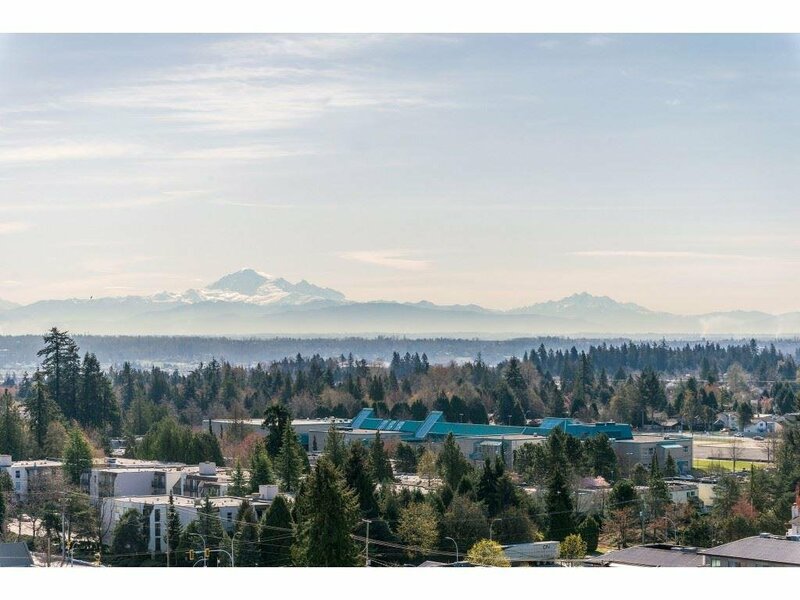 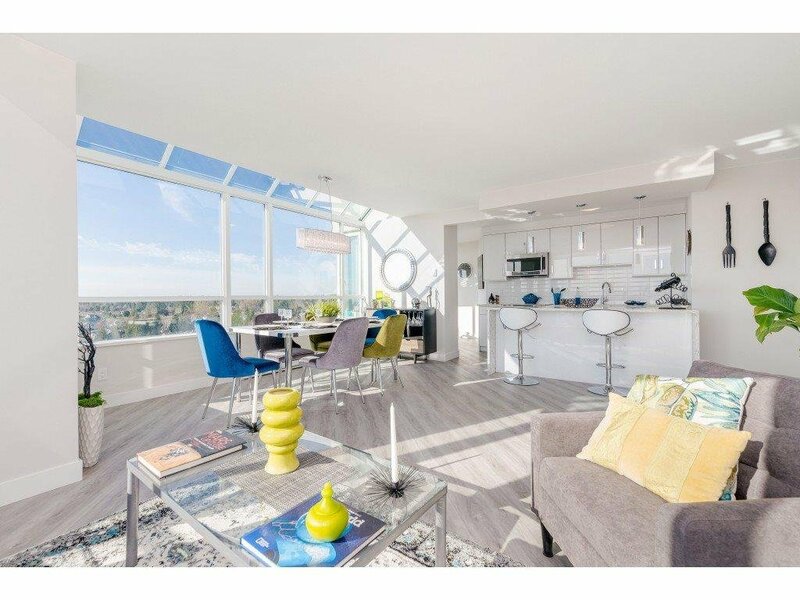  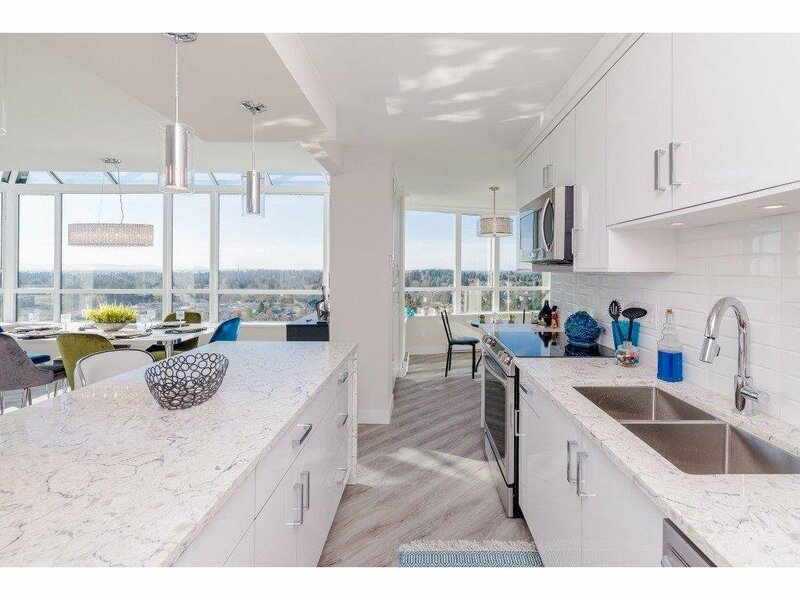 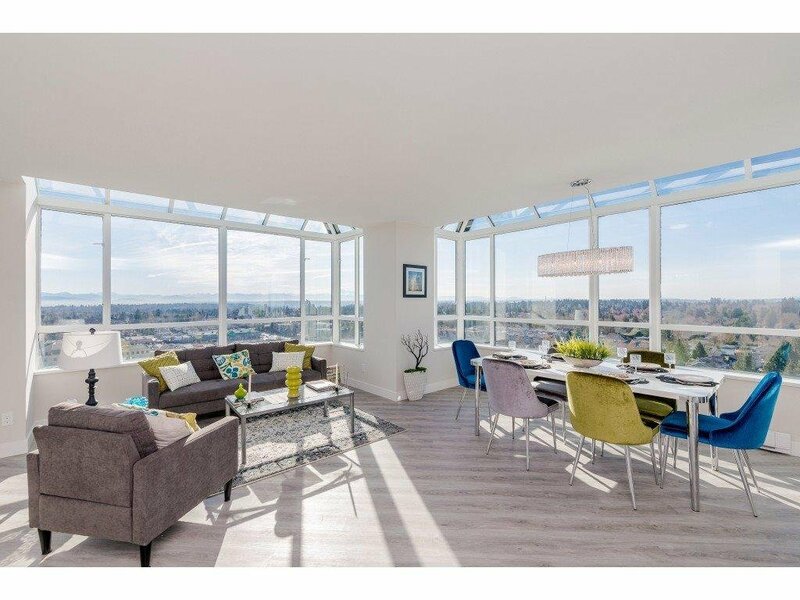 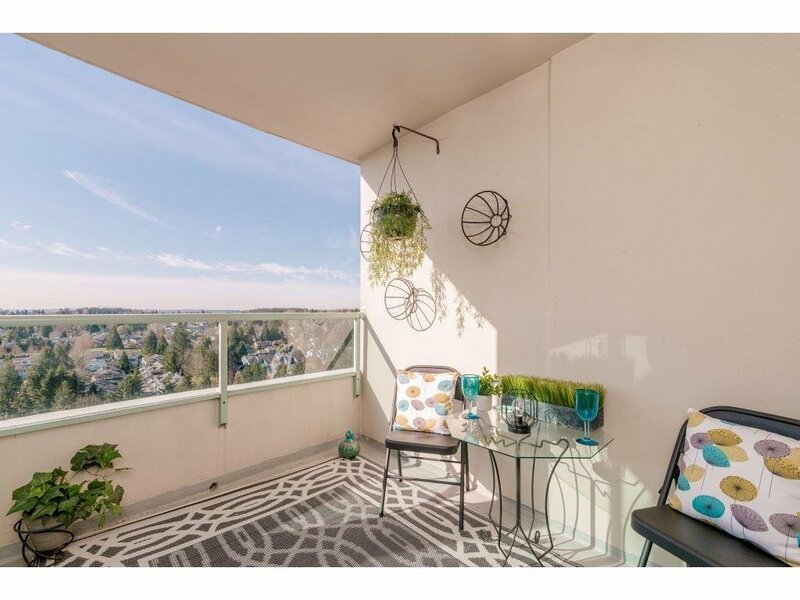 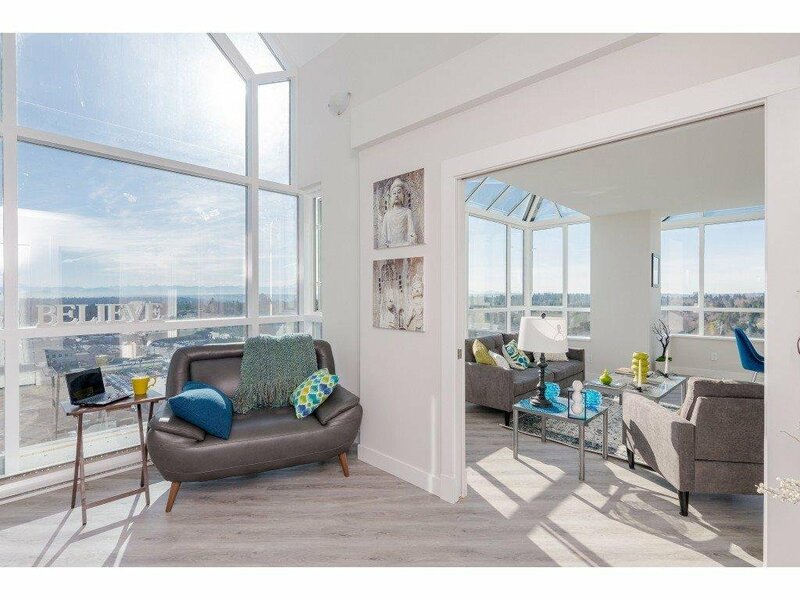 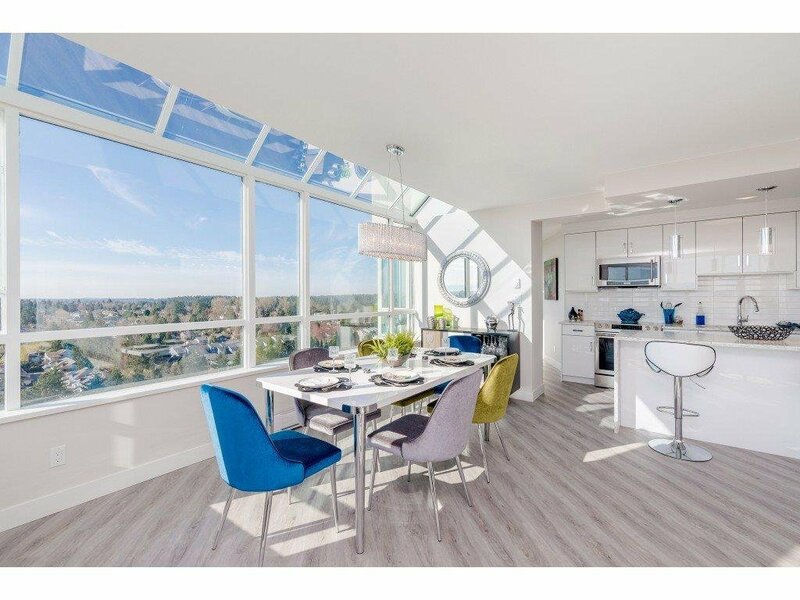 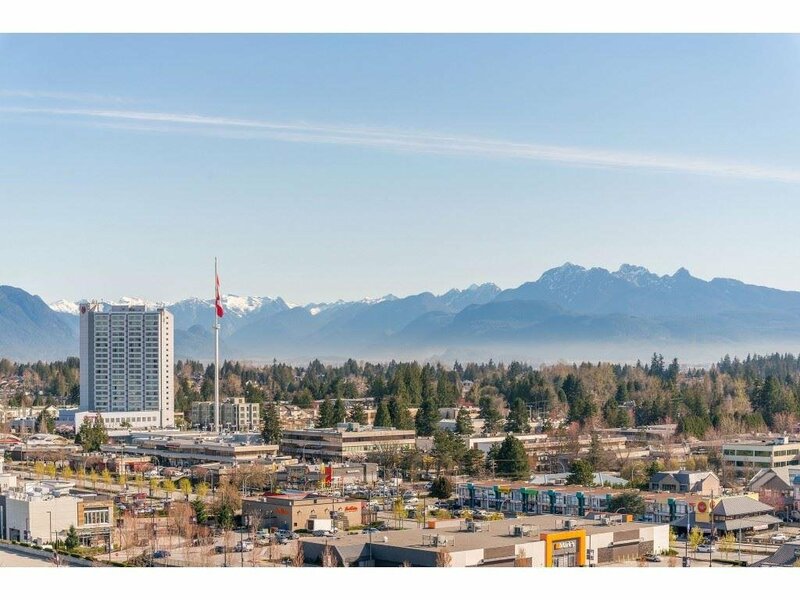 1704 15038 101 Avenue, Surrey - 2 beds, 2 baths - For Sale | Kulvir Sahota - Planet Group Realty Inc.
PENTHOUSE LUXURY LIVING AT ITS BEST! 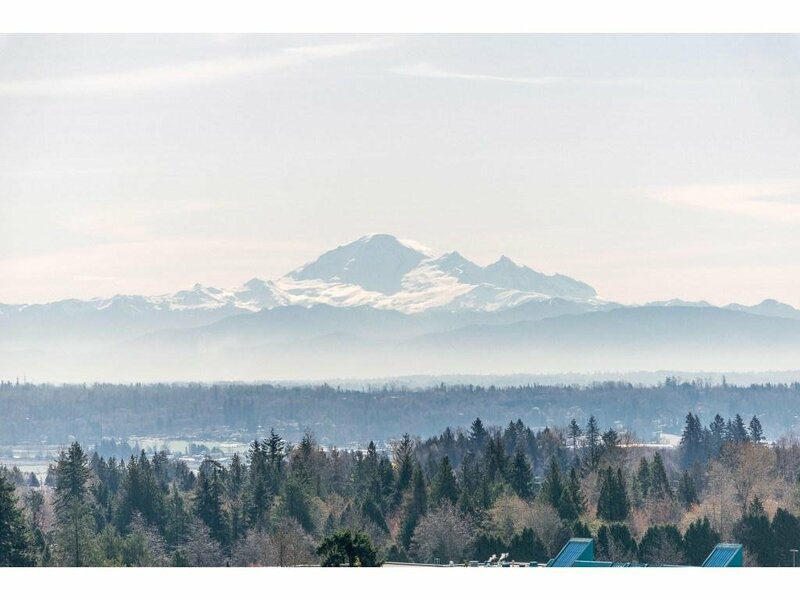 Unobstructed panoramic views from Golden Ears to Gulf Islands. 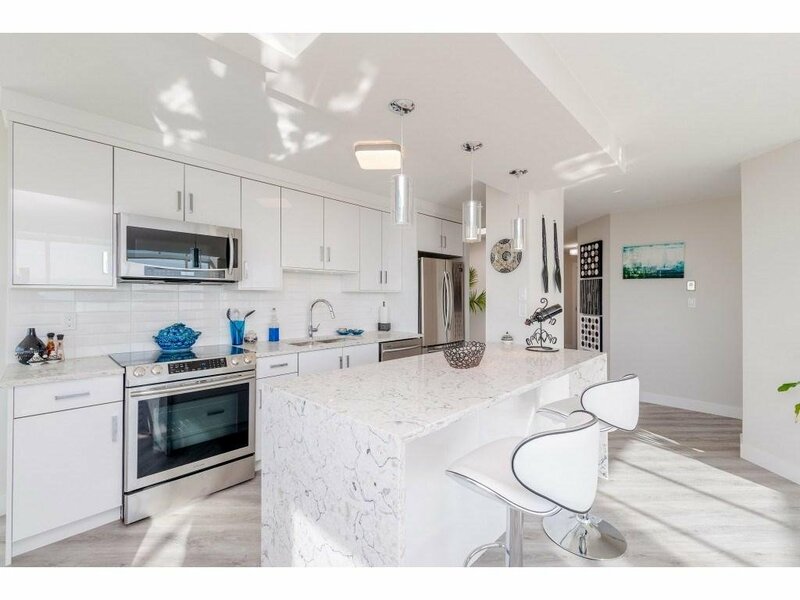 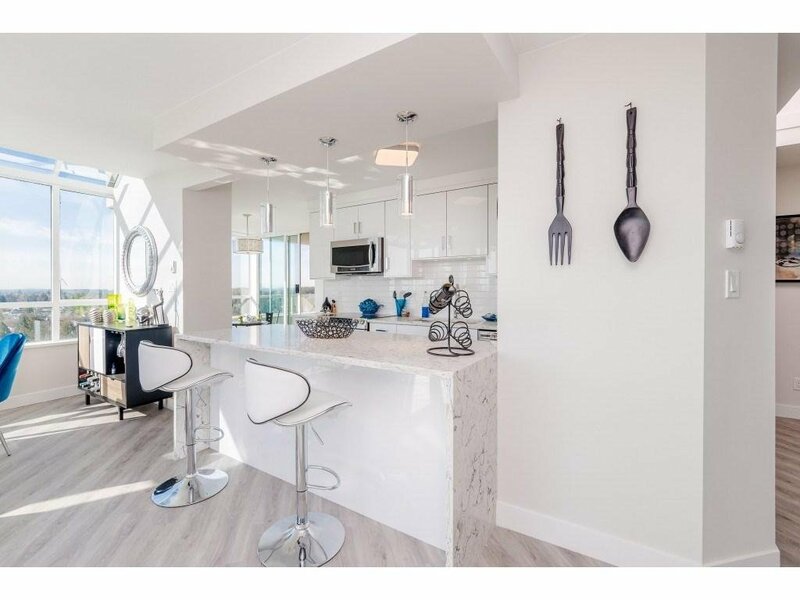 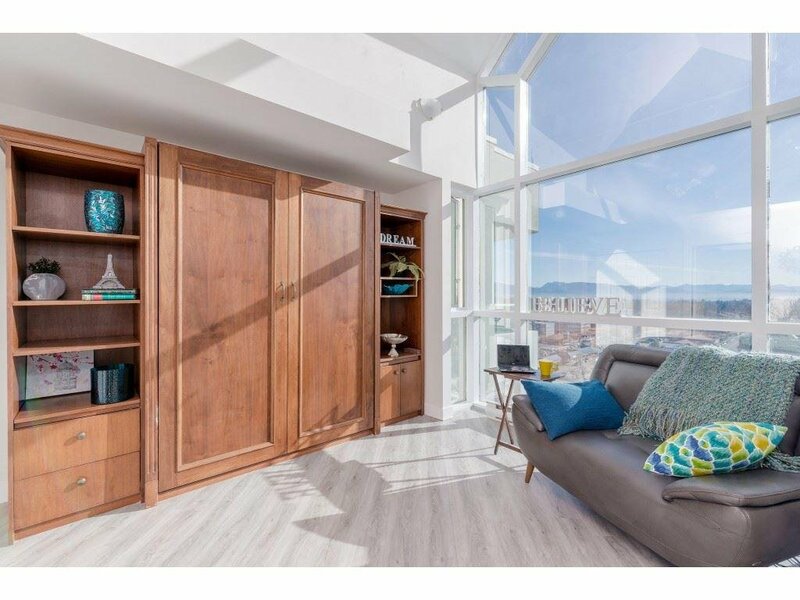 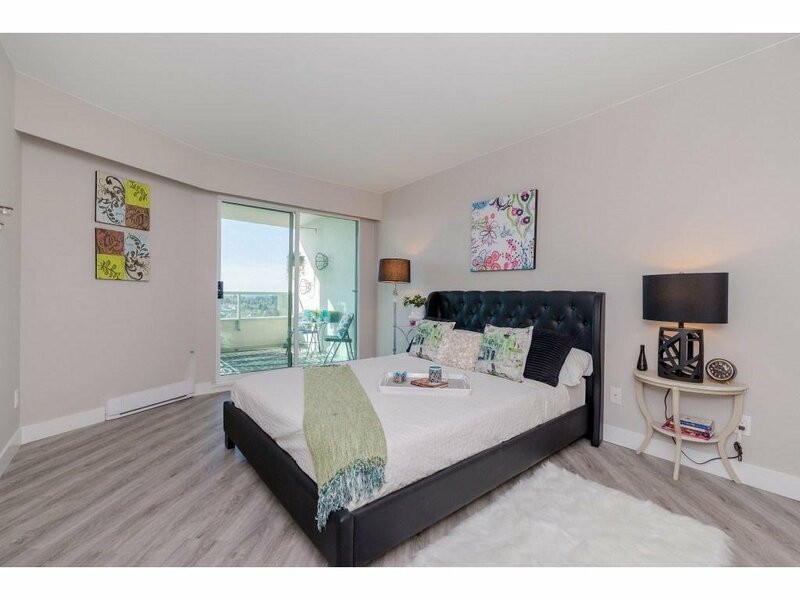 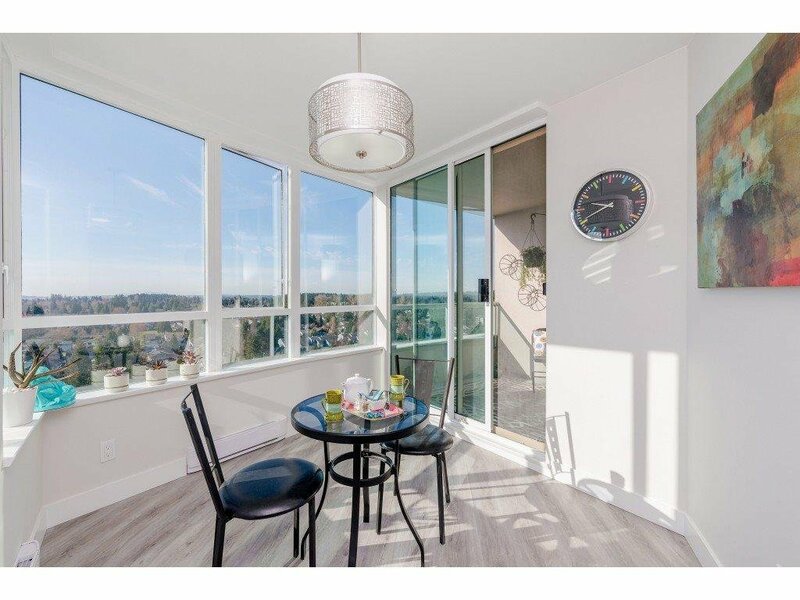 2 bdrm unit is move-in ready - completely remodelled + professionally designed by LA Design. 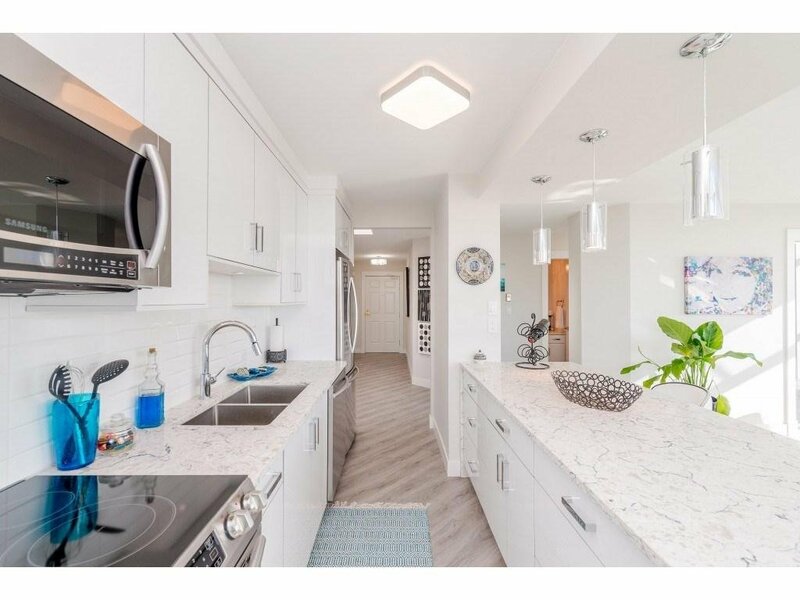 Attention to detail thru-out - contemporary open floor plan, custom kitchen w/stunning quartz waterfall island, new stainless appliances, separate laundry room with full size washer/dryer.Very generous master with plenty of room for a king bed with a slider to a lovely outdoor patio space. 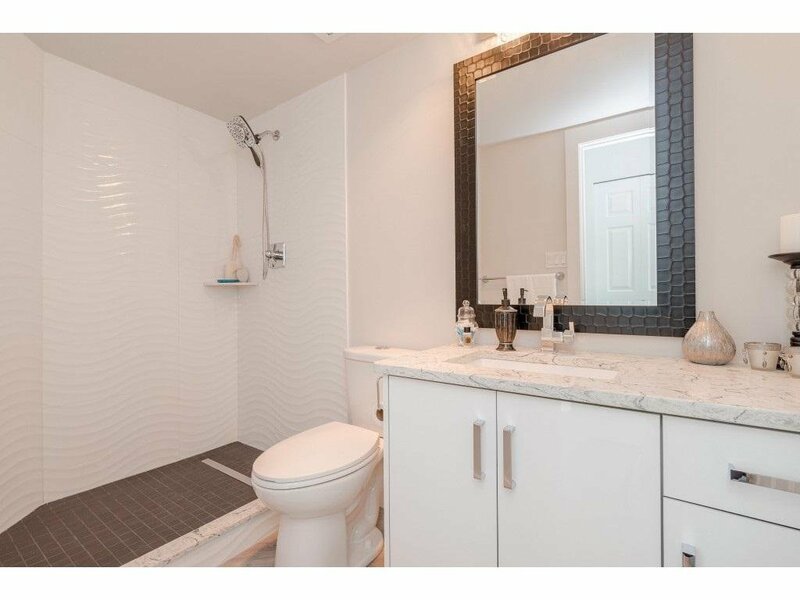 Large ensuite features 2 sinks, generous linen closet.2nd bedroom with its floor to ceiling windows. 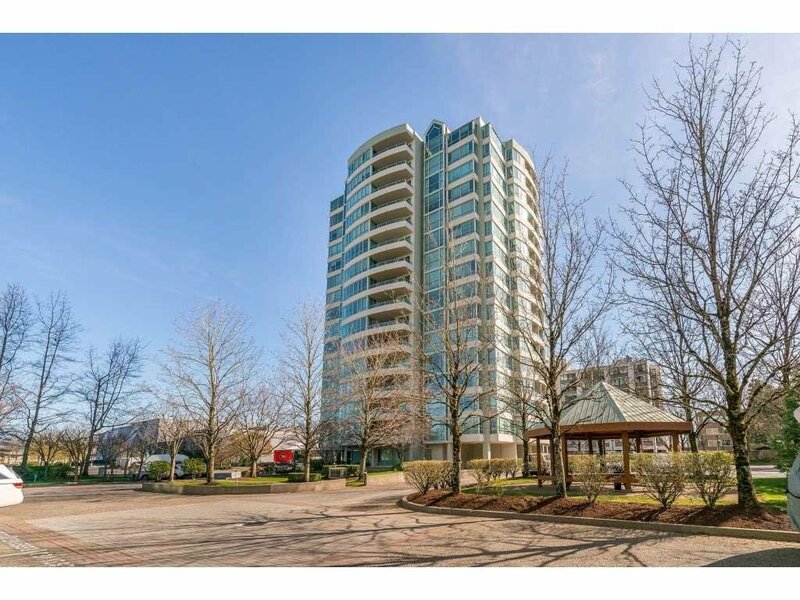 2 parking stalls & generous sized locker. 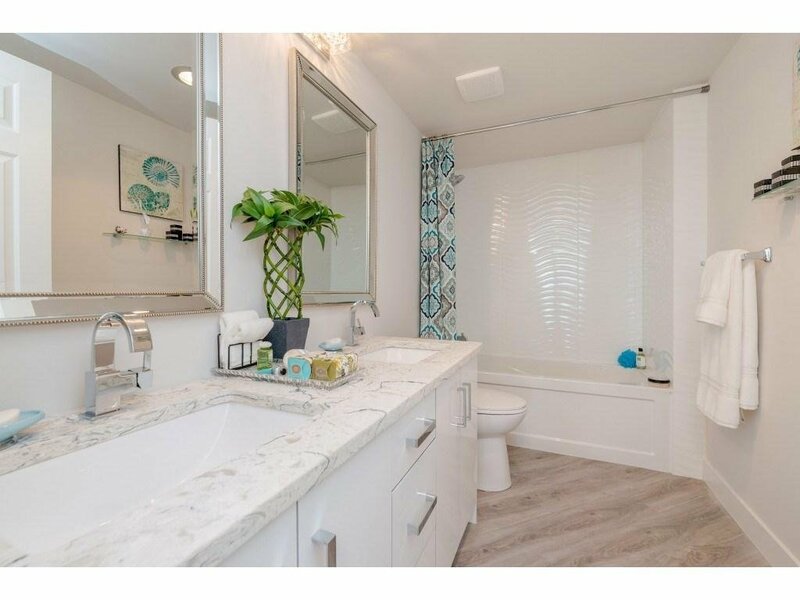 Amenities include Hobby/Wrkshp, Billards Room, Hot tub, Sauna, Exercise Room, guest suite. 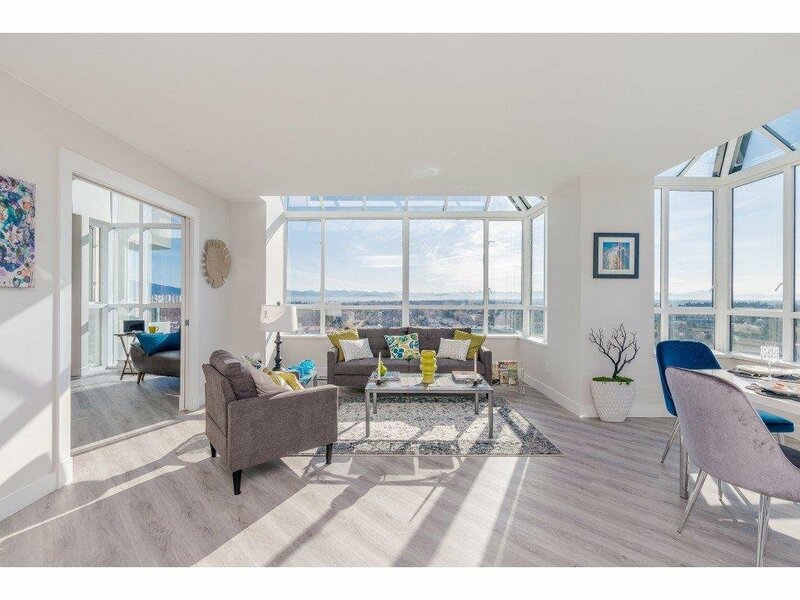 Pro-active strata with low monthly fees.